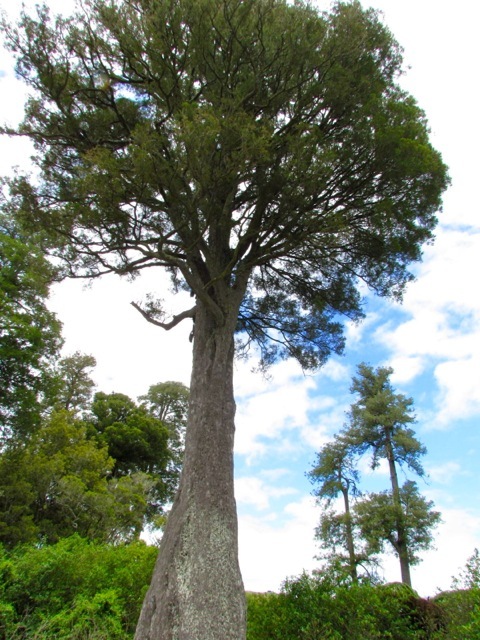 The kahikatea in which the geocache is hidden. Note the brown char marks around cavity. On our way back from a recent trip to the Ruapehu Mountain district, we stopped at Bruce Park Reserve, near Hunterville. This was a forest reserve that I had read about in David Young’s conservation history of New Zealand Our Islands, Our Selves, and I had long wanted to visit it. To help entice my husband – an avid geocacher – to stop, I declared “there is sure to be a geocache in there!” Somewhat reluctantly, he relented, but his acquiescence paid off, because this turned out to be his favourite geocache of the trip. The same tree from opposite side. 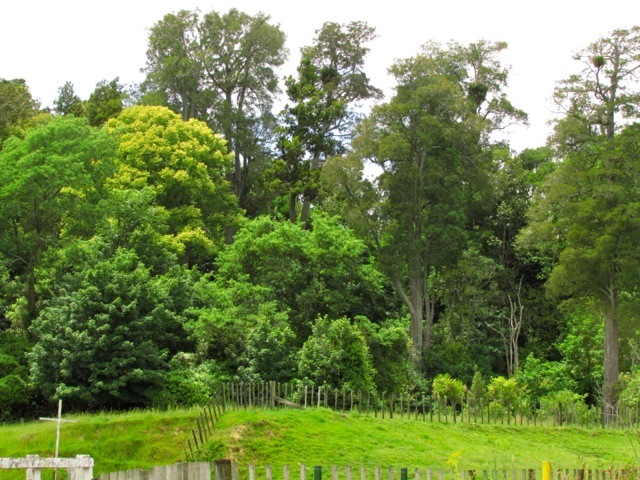 The lowland forest remnant was set aside by Robert Cunningham Bruce, a Scot who settled in the Rangitikei. He was a far-sighted man, who became the Minister of Parliament for the district. He died in 1917, leaving a legacy not only of preserved remnants of forest but of a trust established to purchase and protect such remnants in the future. Until recently, the state highway passed through this piece of forest, but the road was later realigned to its east. Clearly, a primary driver for the realignment was the danger posed by the stretch of road; a number of white crosses along the old road are testament to the lives it claimed. But back to the geocache. Sure enough, wife was right, and while my wee daughter and I investigated the track into the forest, my husband and son investigated the geocache. 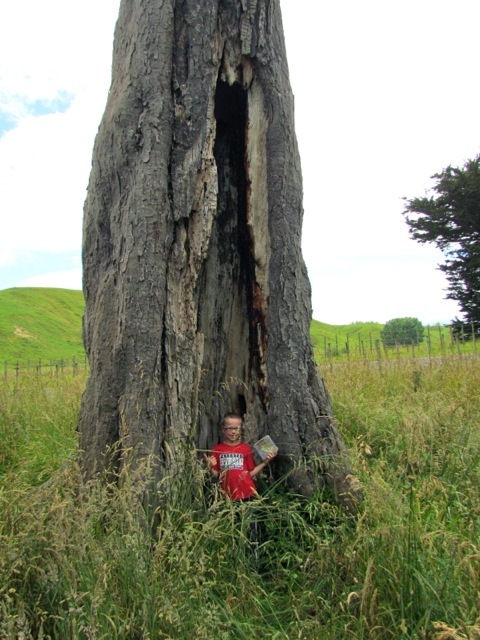 It was nestled in an astoundingly large cavity in the bottom of a kahikatea tree. The tree showed burn marks, and this, combined with its solitariness, suggests that it was the survivor of burn-off when the land was originally cleared for farming. Bruce Park Reserve forest. Note white cross marking site of fatal car accident, bottom left. Previous Article New issue of Environment and Nature in New Zealand now out!